Come and celebrate the resurrection of our Lord and Saviour Jesus Christ with us! This Sunday we will be looking at the “unfinished” Gospel of Mark and how he seems to leave his resurrection account on a bit of a cliff hanger. Join us in worship and community this Easter Sunday! We will be holding a joint Good Friday Service with Langley Immanuel CRC at 7:00pm. The service will be held at Immanuel with Pastor George preaching. The address for Immanuel CRC is 21713 - 50 Avenue. With the celebration of Palm Sunday this week, we will be looking at the much larger story and prophecy which Jesus fulfills from the book of Zechariah. As Jesus sits upon that donkey on Palm Sunday he is signalling to the people of his day, and to us, that the world is about to change! REMINDER: Stick around after the service to enjoy some delicious soup and buns! This week, we have the honour of welcoming Martin Contant as guest pastor. The theme of the sermon is a Lenten theme. Jesus recognizes that the hour has come for him to be glorified. In John's gospel that means he is going to go to the cross. People are looking for Jesus as the miracle worker, and they want the goodies he generously distributes...feeding the 5000, healing the sick, casting out demons. But they don't want to give up their lives for him to be their Lord. So he demonstrates what that means by going to the cross. He explains it in a simple little parable. "Unless a grain of wheat falls to the ground and rise, it remains only a single seed. But if it dies, it produces many seeds." Through the sermon, Jesus is asking us what we need to die to in our own lives, so that we will be able to bear much fruit for his kingdom. Come on out to our monthly Neighbourhood Dinner this coming Monday, March 19! If you can volunteer with set up, please come lend a hand starting at 5:30pm! Dinner will be served at 6:00pm. Hope to see you there! This coming Sunday we welcome guest pastor Sid Vanderwoud. The theme of pastor Sid’s message will be “Devoted.” The sun will be shining, spring is almost here! Join us on this sunny Sunday as we welcome Sid Vanderwoud. This coming Sunday we welcome Curtis Meliefste, Youth Pastor at Willoughby Christian Reformed Church. Curtis will be drawing out the role of Ananias in Saul’s conversion. Ananias’ role in the story has some great things to say about the action of church in the world. This is a message that is encouraging in nature, but encouraging to help church goers understand their role as members of the church and not just members of the faith. This Sunday we are very excited to welcome Pastor Martin Contant to the Bridge. 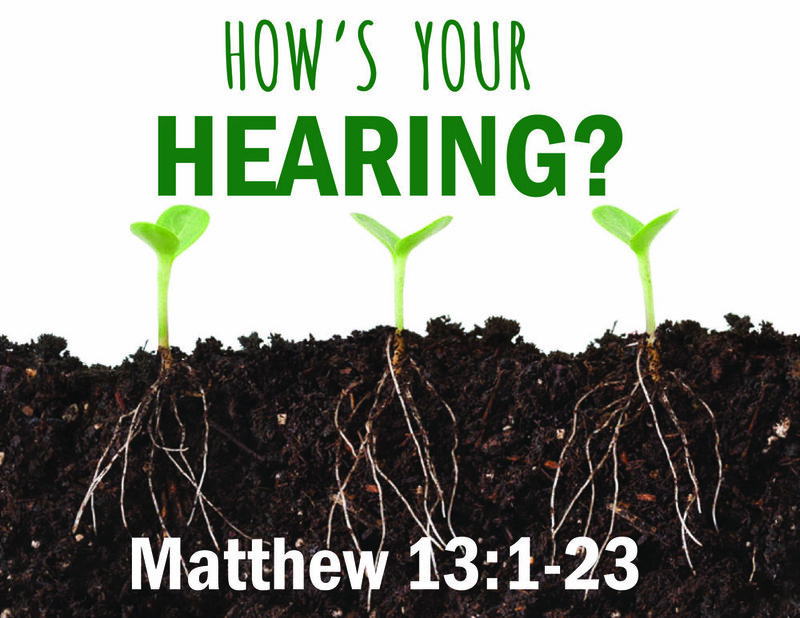 Martin will be preaching on Matthew 13:1-23, which is the parable of the sower. The focus of the parable (and the message about it) is how we actually hear the Word of God. The condition of the soil to receive the seed is really about the conditions of our heart in receiving the word. Join us this week as we celebrate the baptism of baby Rowan. This will also be Pastor George’s last service before his leave of absence. George will be preaching on Exodus 33, where Moses pleads with God, “If your presence will not go with us, do not send us up from here.” What does it mean for the presence of God to go with us, especially during times of uncertainty and fear? This week we continue our journey through the Gospel of Mark by looking at the Parable of the Sower. What is Jesus talking about when he shares this parable? What does it mean to develop “good soil” in our heart, in our church, and in our neighbourhood? 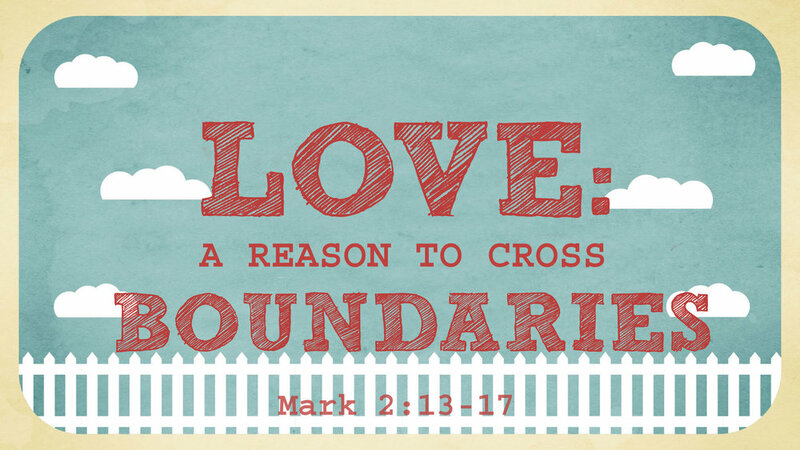 Join us this Sunday as Doug Wilbee preaches on Mark 2 : 13-17. The main emphasis in Doug’s message is that Jesus purposely chose to cross a boundary by not only talking to, but also eating with the most despised/ostracized group of people as determined by the Jewish religous leaders. Doug will speak about some of the lessons he’s learned from delivering Cobbs Bread, but also hopes to remind everyone that we all have different gifts and help to make up the different parts of the same church body. The message will challenge us to think about our gifts and how we are using them to "Love God" and "Love our neighbor as ourselves," and to reach out to the people around us both outside (and inside) the church. Does it sometimes seem like the world is full of bad news? Have we lost sight of what good news even looks like? This week we will be reading from the first verses of the Gospel of Mark, "The beginning of the good news about Jesus Christ.” Join us! As 2018 comes to a close we will be spending some time this Sunday looking back at the past year, seeing what we have been up to, how God has been at work, and then how to stay focused on the most important things as we enter into the new year ahead. This Sunday marks the fourth Sunday of Advent. Peace can sometimes be hard to find in our world, not only is there war and violence but inner peace can also be difficult to come by. Join us this week as we reflect on the “Prince of Peace” and the changing reality he seeks to bring among us. This week we begin celebrating the season of Advent, a time when we begin anticipating the coming of Christ! 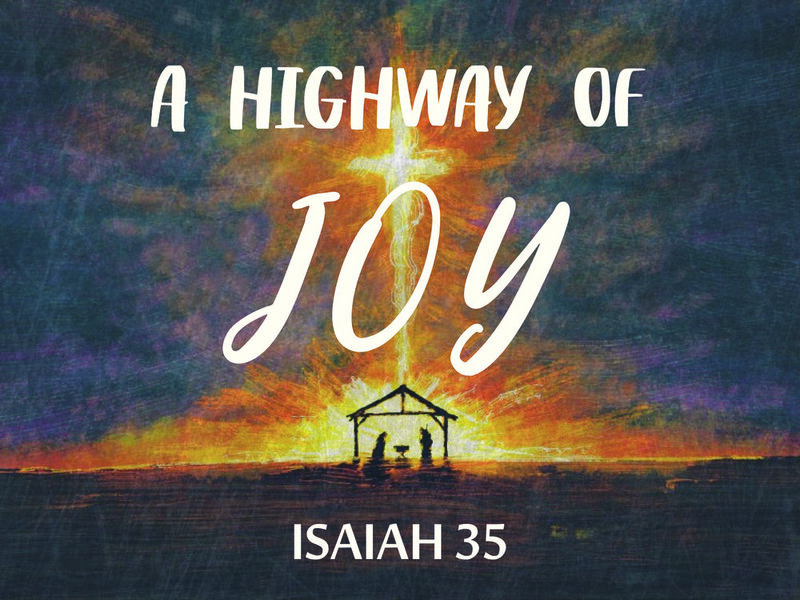 Join us this Sunday as we look at Isaiah 11, reflecting on the “Raw Root of Hope” found in lineage of Jesus, and how that extends into the idea of brokenness and beauty today. Immediately after the service we will have delicious home made soup and buns! Stick around for some good food and fellowship as we celebrate the first Sunday of Advent! This week we are joined by Pastor Trevor Vanderveen from Vancouver First CRC. 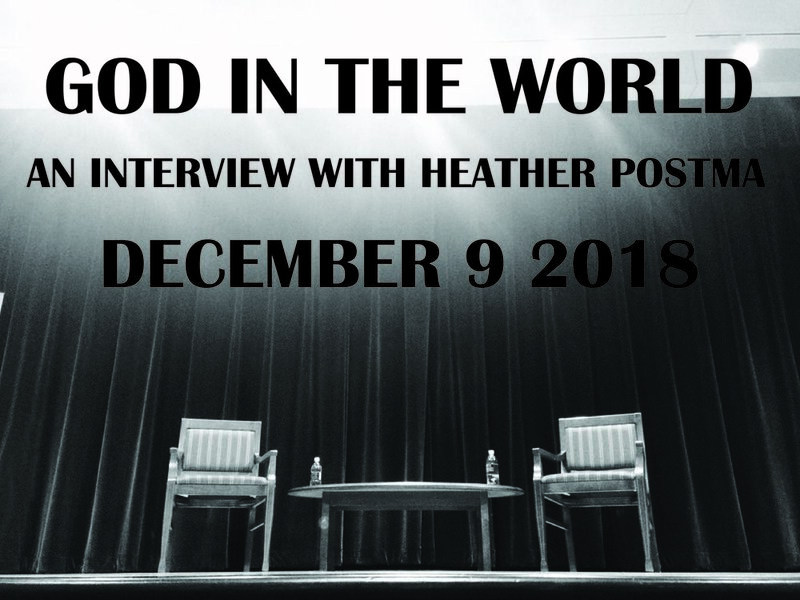 Trevor will be interviewed as part of our "God in the World Series” and is going to be talking about his own ministry context in East Vancouver, how he has seen God at work in his church and neighbourhood, and some of the similarities between our two churches.